at modern hospitals and clinics in Iran at the most affordable prices. Looking for the best plastic surgeons and the most reasonable prices for your abdominal etching surgery? We help you get it done by the most proficient cosmetic surgeons in Iran at very decent prices. No need to worry about travel hassle and arrangements. 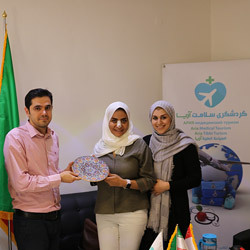 We do it all for you so that you would have a smooth trip and stay in Iran for your surgery. Get a free consultation and quote by filling in the form above or contacting us. Abdominal etching or ab etching is a minimally invasive plastic procedure for those who desire well-shaped abdominal muscles. This surgery involves removing certain fat pockets covering the abdominal muscles that are resistant to exercise and moving the existing fat to specific areas, the result of which is a flatter stomach with six-pack abs. As a muscular body is desired by most youngsters, they resort to different ways to abstain that goal. Hard bodybuilding exercises and different supplements are widely accepted as the first choice for achieving six-pack abdomen. But, there are some fat layers that cover the abs and prevent muscles to be highlighted. Losing these layers is a difficult and long-term process. Abdominal etching is a quick way to get rid of these fat layers and at the same time achieve a muscular-looking stomach. Those who are tired of hard exercises and diets can find abdominal etching surgery useful. Although six-pack abs for women are not as popular as for men, abdominal etching is performed for women is a different way to create feminine contours for them. Are you a good candidate for an abdominal etching surgery? As being adherent to a healthy diet has a significant role in maintaining prominent six-pack abs, people who can follow such a diet are the best candidates for abdominal etching surgery. Some male or female patients who have undergone tummy tuck surgery can have an abdominal etching surgery after they fully recover from the previous surgery. Some patients who have toned muscles with minimal fat layers are the best candidates. In a visit for a checkup, if your doctor pinches your abdomen and more than two inches come out, you are not yet qualified for this surgery for there are excessive fat layers around your muscles. So, an initial liposuction is recommended before the main surgery. Abdominal etching is a relatively safe procedure with no major medical complications. How is an abdominal etching surgery performed? Abdominal etching is an outpatient procedure. 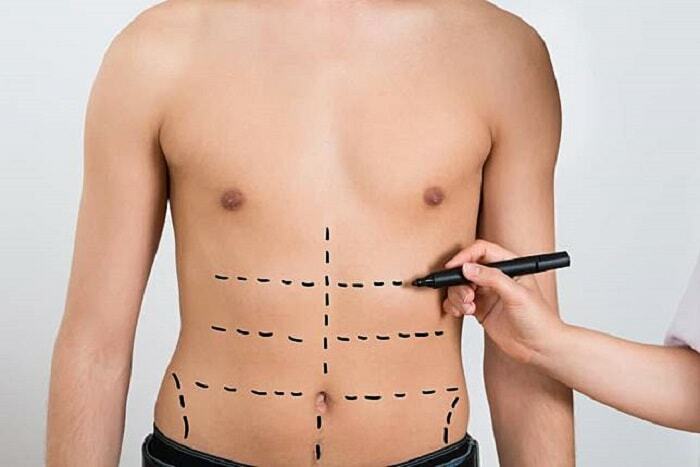 Your surgeon marks the areas of your abdomen that are going to be altered. Then, either under local or general anesthesia incisions are made to your abdomen and specific fat pockets are removed in a delicate manner with the help of a cannula. These fat removals define the lines of your abdominal muscle to deliver six-pack-looking abs. Then the small cuts are closed if needed. The surgery usually takes up to one hour to be completed. What to do before an abdominal etching surgery? What are abdominal etching surgery recovery and post-operative cares? There are some necessary post-operative cares needed for abdominal etching surgery. They are mentioned below. After 6 months, you will notice your prominent muscles and enjoy them. What are common side effects and risks of an abdominal etching surgery? Although abdominal etching is considered as a minimally invasive and safe surgery. There are some possible, but rare, risks which need to be fully aware of. Some of the complications are: scarring, infection, bleeding, loss of sensation around the scars, bruising, incomplete etched indentations, opening of the wound, temporary discomfort, nerve injury, vessel injury, fluid accumulation, and skin necrosis. Most of the risks mentioned are possible in any surgery. The rest can be treated and are extremely rare. How much does an abdominal etching surgery cost? Abdominal etching cost varies depending on the country, the surgeon’s skill, the amount of removed fat, the fees of the hospital, and the method of liposuction. Liposuction methods are tumescent liposuction surgery, ultrasonic liposuction surgery, and Smartlipo surgery. The average price is $7,000, in the United States. Abdominal etching surgery has become very popular in Iran. Abdominal etching surgery is performed with all the liposuction methods mentioned above. There are professional plastic surgeons performing abdominal etching surgery in well-equipped outpatient clinics all around Iran. Some Iranian cities with specialty cosmetic clinics offering a vast range of cosmetic procedures, including abdominal etching procedure are Tehran, Isfahan, Shiraz, Mashhad, Kish Island, Tabriz. 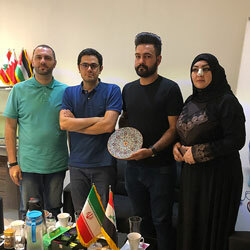 It is a benefit for those who undergo cosmetic procedures in Iran as not only Iranian plastic surgeons are efficient, but also the surgery is much more affordable than other countries. The cost of an abdominal etching surgery in Iran, for instance, is $1,000, while in the United States an abdominal etching surgery costs between $3,000 and $10,000, in India between $1,500 and $2,000, and in the United Kingdom $8,000. 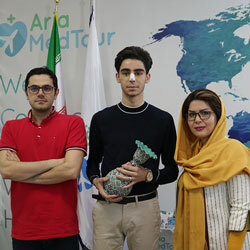 As the leading medical tourism facilitator in Iran, AriaMedTour has the honor to help you plan your travel to Iran and have an abdominal etching surgery. 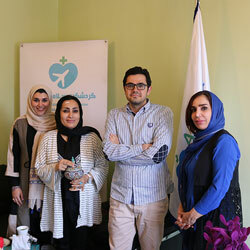 Our staff would lead you through your medical journey to experience a pleasant cosmetic surgery in Iran. Please contact us by the communication means provided at the foot of this page or submit your request through the online form below.